Here at The Hemingway List Podcast, we are reading our way through a list of 16 books that Ernest Hemingway recommended. We have now finished reading and discussing our first book off the list! It also happens to be the shortest book on the list, with only 7 short chapters. A small crew find themselves stranded in a small dinghy after surviving a shipwreck. The below series of podcasts contains a full audiobook reading of The Open Boat, and an in-depth discussion about each chapter. 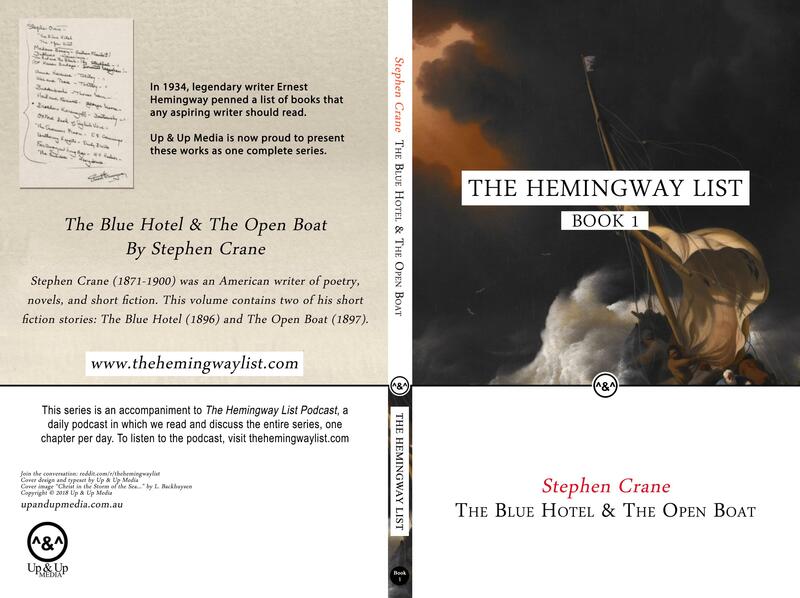 Buy the official "The Hemingway List" paperback of The Open Boat HERE.